Get ready for Google drones. 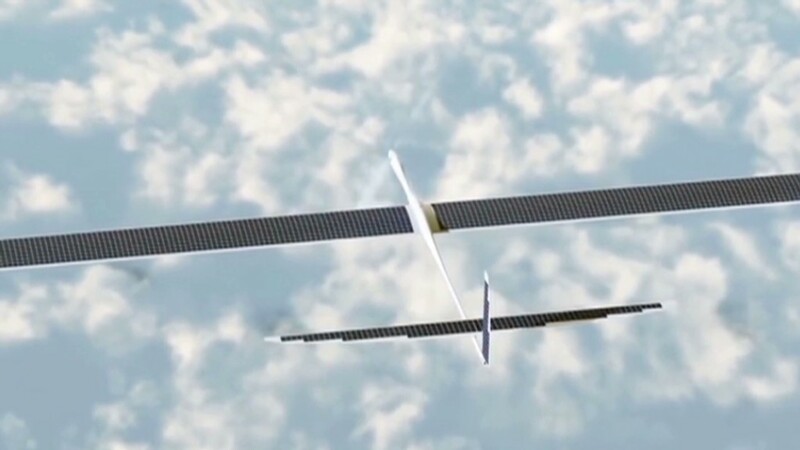 The technology company announced Monday that it has acquired Titan Aerospace, a start-up founded in 2012 that makes high-altitude, solar-powered drones. The purchase is part of the new push in Silicon Valley to find ways of delivering Internet service to underserved areas, particularly in the developing world. "Titan Aerospace and Google share a profound optimism about the potential for technology to improve the world," Google said. "It's still early days, but atmospheric satellites could help bring internet access to millions of people, and help solve other problems, including disaster relief and environmental damage like deforestation." The Titan team will operate separately from Google, but will collaborate with divisions including Google Maps and Project Loon, which has been working on delivering Internet service from high-altitude balloons. Titan touts a variety of applications for its drones, including data delivery, crop monitoring and search-and-rescue aid. The vehicles can stay aloft for up to five years without having to land or refuel, making them an intriguing possibility for beaming out Internet service. Titan has showcased its drones in demo flights, though they're not yet commercially available. The purchase marks the latest salvo in the tech cold war between Google (GOOG) and Facebook (FB). Facebook looked into purchasing Titan at one point as well, according to various reports. The company recently hired several key staff members from U.K. drone maker Ascenta to join its "Connectivity Lab," which is experimenting with Internet delivery using experimental technology including drones, satellites and lasers. Both Facebook and Google have made a number of recent bets on emerging technologies, aiming to stay nimble once their current businesses are disrupted. Facebook made a splash earlier this year with its $19 billion purchase of mobile messaging service WhatsApp, and scooped up virtual-reality firm Oculus VR last month for $2 billion. Google, in turn, has invested billions in driverless cars, wearable gadgets, military robots and -- most recently through its purchase of Nest -- connected home devices such as smoke detectors and thermostats.